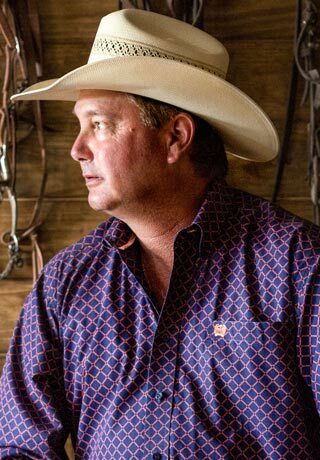 Husband, father, teacher and 8-time World Champion Team Roper – titles that Llano, TX resident Rich Skelton takes pride in being known for. Visit with him about the latter and he'll give all the credit to the horses he rides and his team-roping partner, Speed Williams. Ask anyone else and they'll tell you what we all know to be true: he’s simply one of the best ropers of our time. First thing in the morning I think about getting the horses fed and then what I think about depends on if I am going to rodeo, practice or teach at a clinic. Where is your favorite place to rope? My favorite place to rope is at home in my arena. One thing I would like to do better is helping others improve. My heroes are John Wayne and Clay Cooper. I love to rope and rodeo but I hate being away from home. I love the sound of the crowd after a good run.